I whipped up 3 of these bags this weekend. Large for my 12 year old in purple Suzuko Koseki. Medium for me with a ruler print for the interior. And the small for my 6 year old in her favorite color - pink. One, don't cut 3 sizes at once like I did. Next time, I'm making all the same size! will zip in the opposite direction of what is "normal". I made all 3 zip the same - wrong way. Three, make some of these!! and I was pleasantly surprised despite my goofs. p.s. I was not sponsored to say anything about this pattern. I purchased it just to try it out and I hope you do too. Hand Sewing seems to be about all I can accomplish lately. that can't be shown just yet. on road trips this summer. and have probably seen some these pictures so bare with me. I tend to travel with about 5-6 English paper piecing projects. 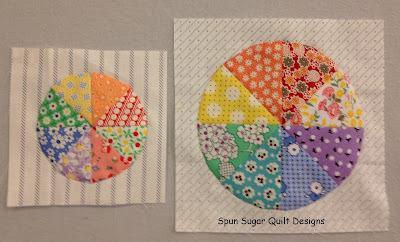 occasions that I didn't bring enough hexies! Oh the horror couldn't be repeated. 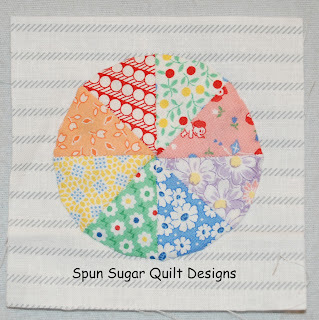 I mean running out of sewing projects? That makes for a very uncomfortable road trip for me!! pie tarts also known as pieced circles. the 3 1/2" pie and the 5" . I let me 'wings fly" and this is what the back looks like. 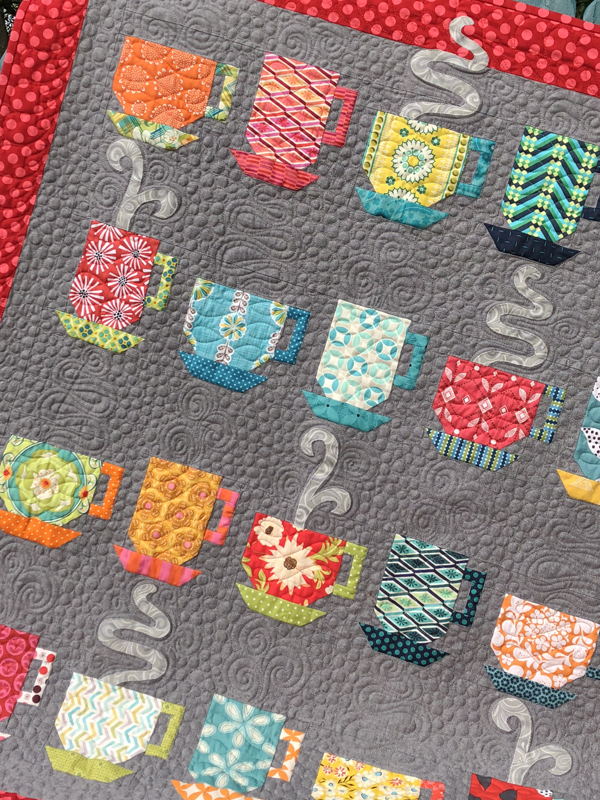 appliqued on a low volume / low value background grey stripe. I don't completely have a plan for these. 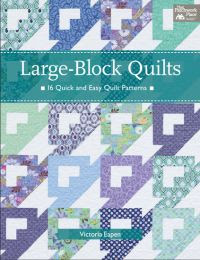 I wish I did and yet I see this project taking shape as I make more pies. I decided to offer them on my etsy. 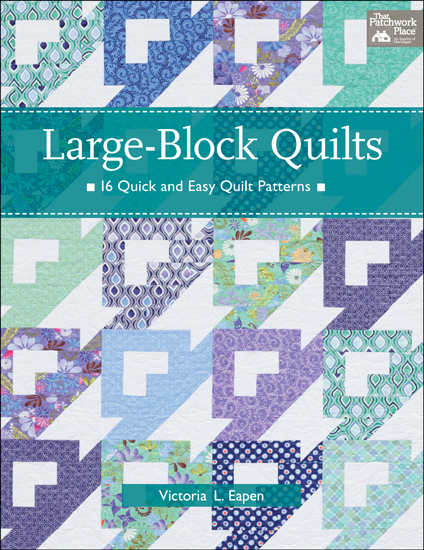 I have a set of each size available HERE. 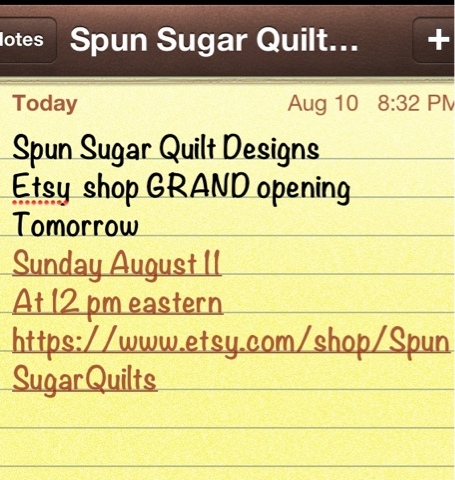 Today is the Grand Opening of my new etsy shop. Sunday August 11th! Today!! At 12 pm eastern time. 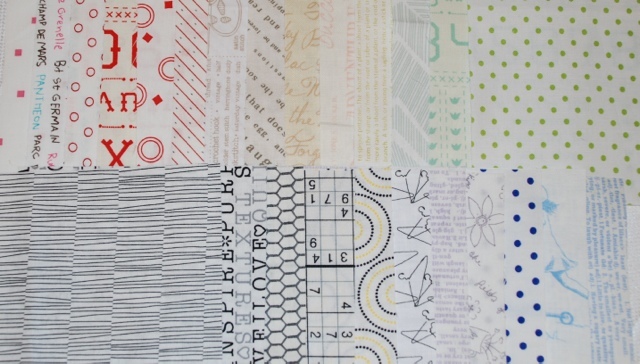 There will be fat quarter bundles, jelly rolls, charm squares, patterns and yardage. 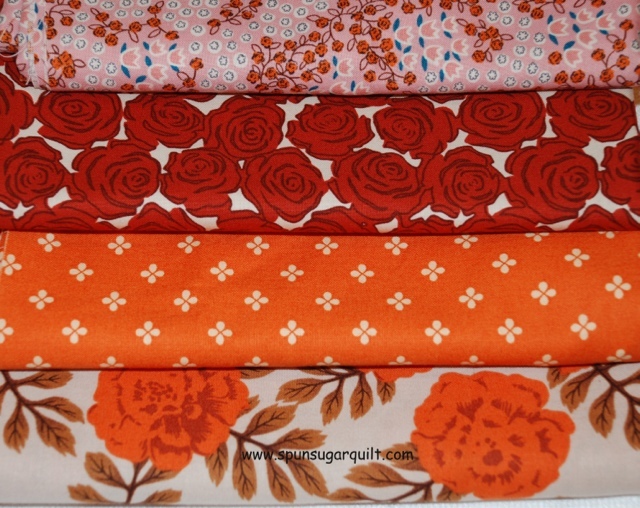 I will be adding several Yuwa Japanese fabrics in the next few days. 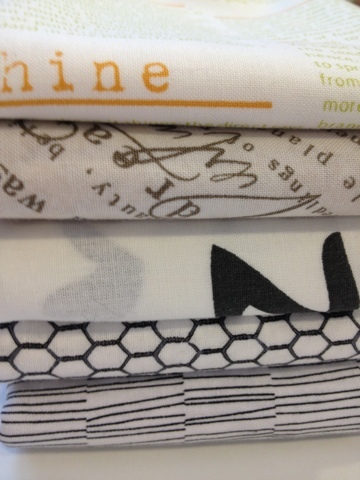 This is a sample of the fabric that will be listed. 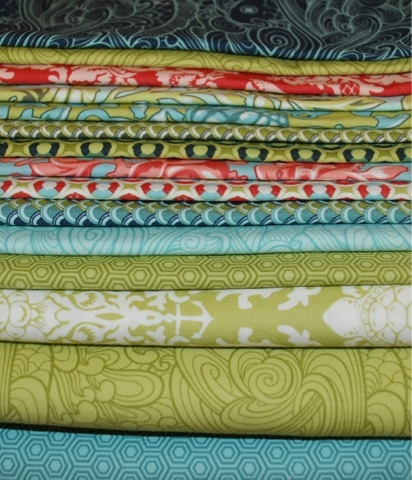 Fat quarters of Neptune by Tula Pink Moda. 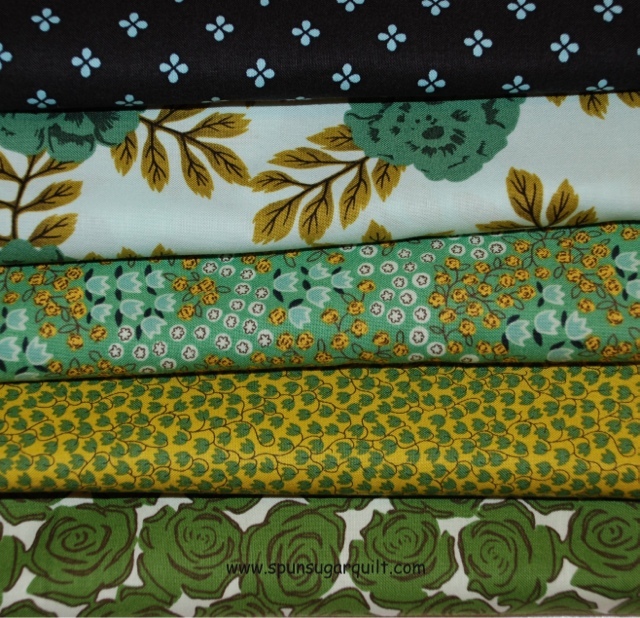 Heather Ross Mendocino fat quarters. 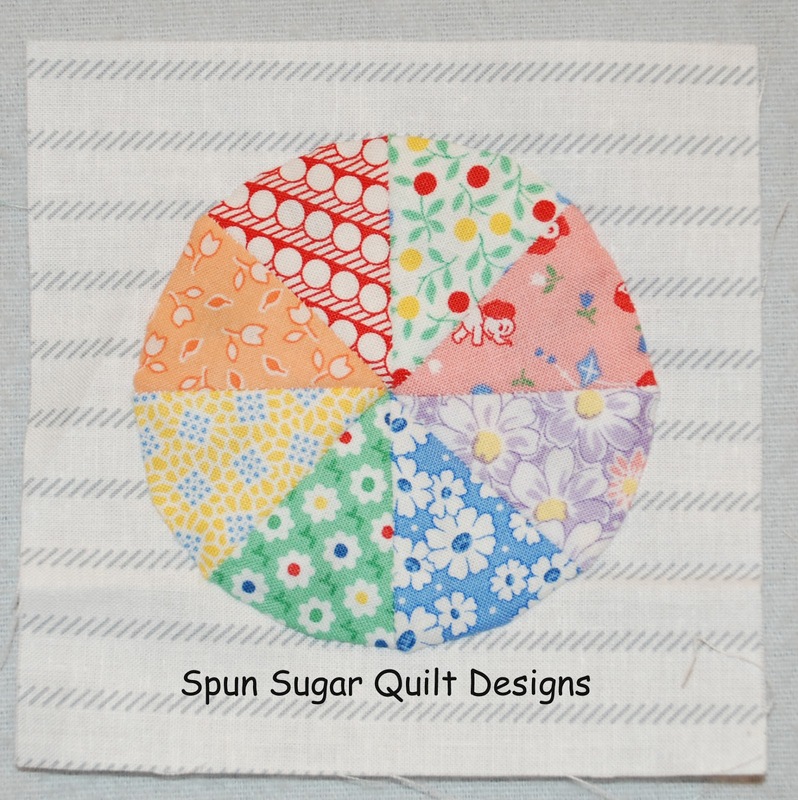 Low volume charm squares for your stash. 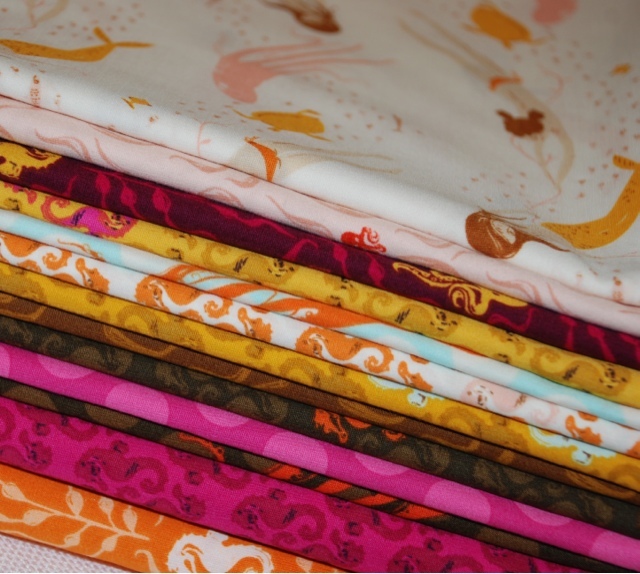 I can't wait to share my stash of fabric with you, my choices of new fabric and my digital PDF patterns! 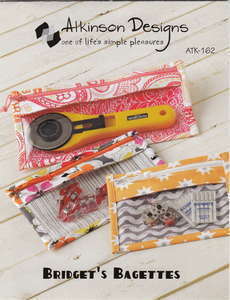 has chosen my book as the august book of the month!!! so I hope you check that out. 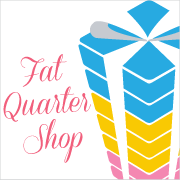 the entire month of August at the fat quarter shop. 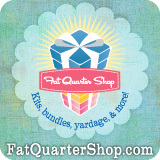 Plus right now the fat quarter shop has about 500 items at 50% off. That's just too good of a sale to pass up.